Computational Modelling of Nanoparticles highlights recent advances in the power and versatility of computational modelling, experimental techniques, and how new progress has opened the door to a more detailed and comprehensive understanding of the world of nanomaterials. Nanoparticles, having dimensions of 100 nanometers or less, are increasingly being used in applications in medicine, materials and manufacturing, and energy. 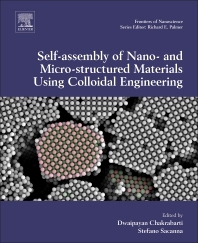 Spanning the smallest sub-nanometer nanoclusters to nanocrystals with diameters of 10s of nanometers, this book provides a state-of-the-art overview on how computational modelling can provide, often otherwise unobtainable, insights into nanoparticulate structure and properties. This comprehensive, single resource is ideal for researchers who want to start/improve their nanoparticle modelling efforts, learn what can be (and what cannot) achieved with computational modelling, and understand more clearly the value and details of computational modelling efforts in their area of research. Scott M. Woodley is a Reader of Computational Chemistry and Physics at University College London, UK. His research focuses on the development and implementation of software for modelling the atomic and electronic structure of materials, along with their properties.